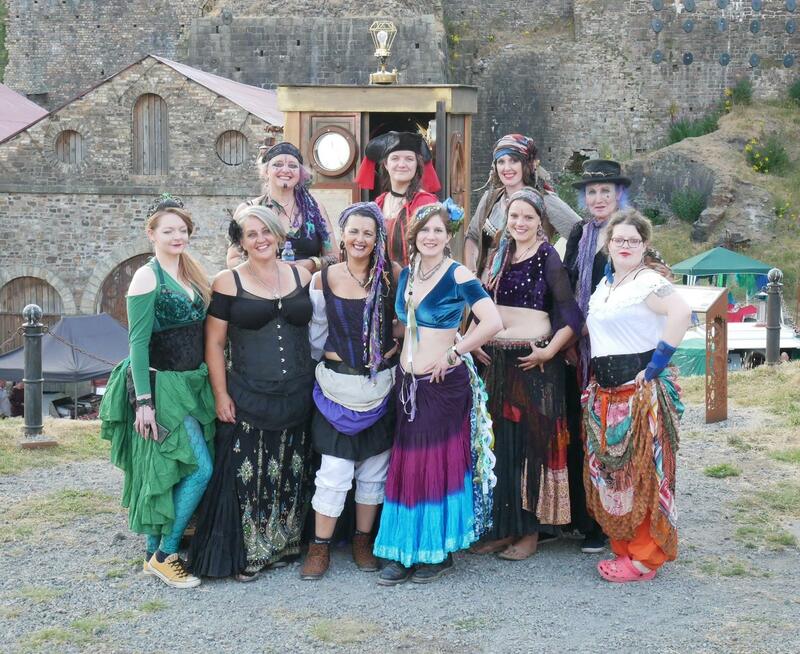 I began teaching in Wales in March 2014. 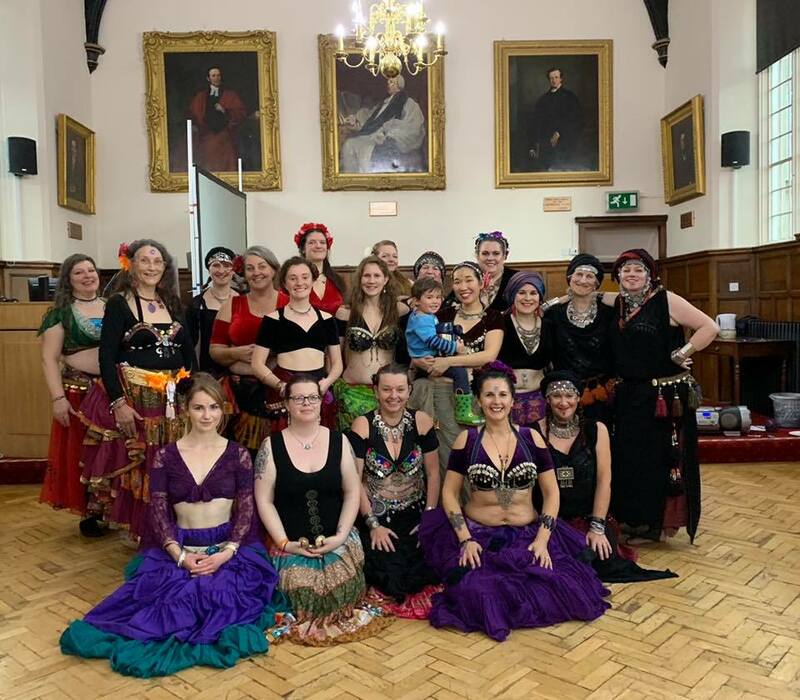 In August, my wonderful ladies joined me at the Cardigan Bellydance Festival for our first performance and we haven’t stop dancing since! 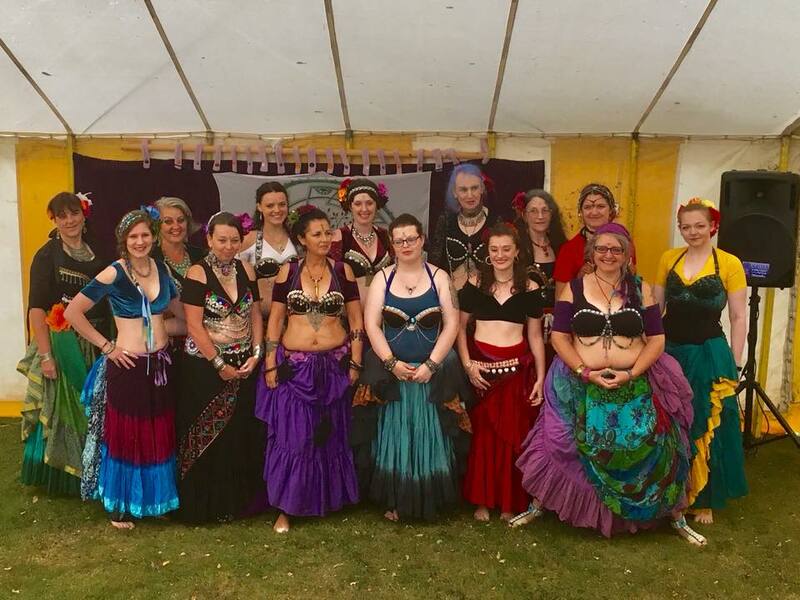 One day we’ll get them organised into one place, but we’re too busy dancing! 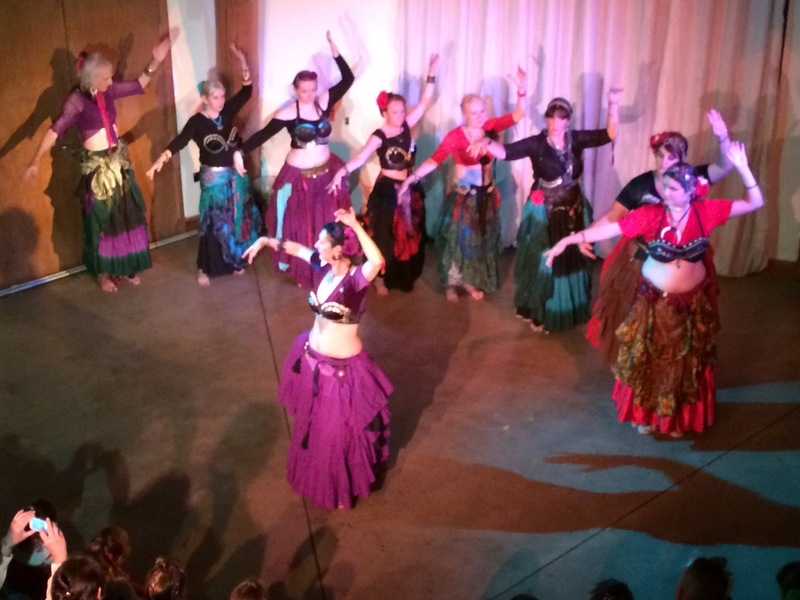 Tribal Unity Wales classes are held in the Dance Studio, above the Sports Hall in the University in Lampeter. 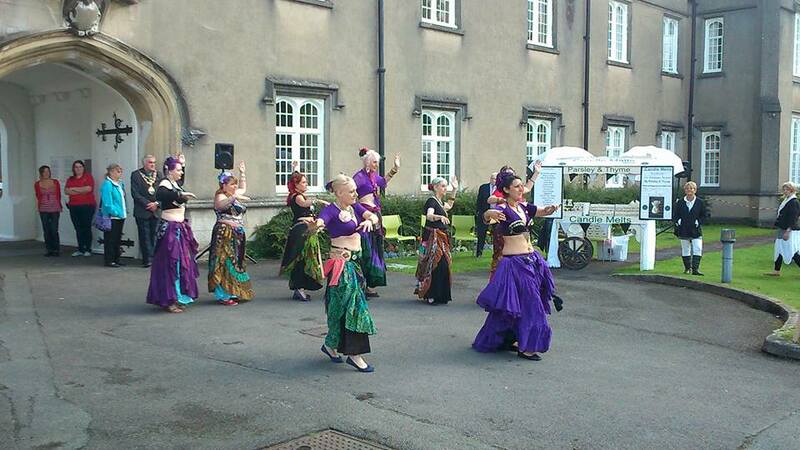 Beginners classes are on Tuesday lunchtime from 1pm-2pm and Wednesday evening from 6pm-7pm. 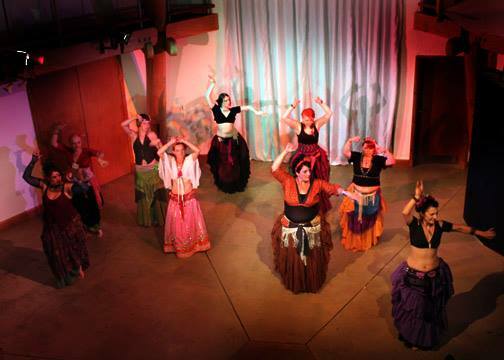 Beyond Basics class is on Wednesday evening from 7pm-8pm and the Advanced class is by invitation only on Tuesday from 6pm-8pm.. For more information, contact me from this site. 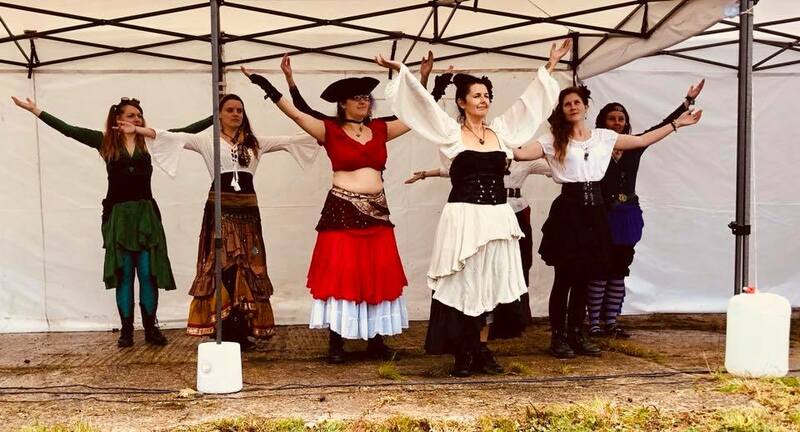 2018 has been another busy year, dancing with the Wee Crafty Folk at two steampunk events, as well as the Lampeter Food Festival and Cardigan Bellydance Festival. 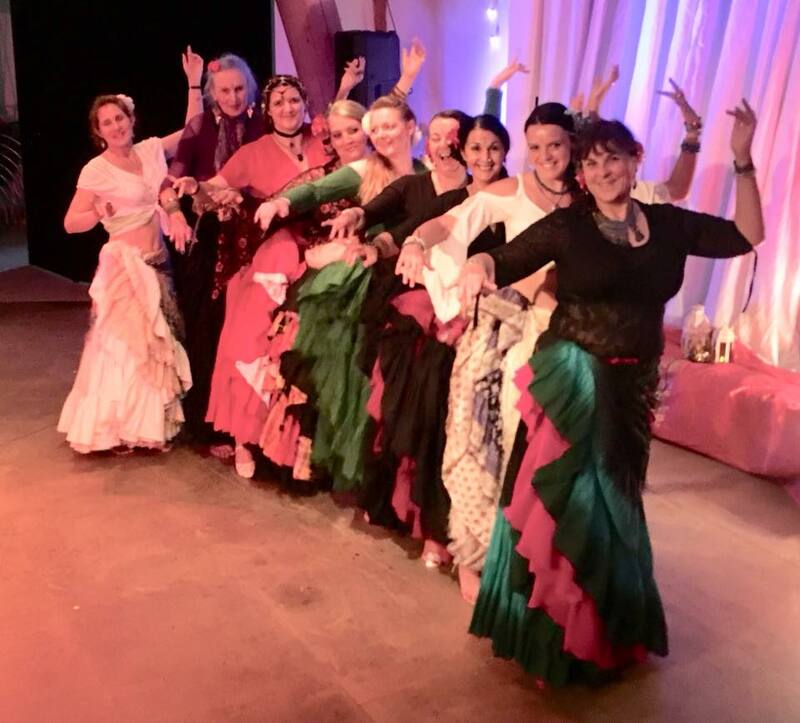 In November we invited other dancers to join us to raise money for S.H.A.R.P. Swansea Humanitarian Aid Response Project and collected donations of clothes and toiletries. We had so much fun!